Alex has 49 years legal experience since qualifying LLB (Hons) from the University of Auckland and being admitted to the Bar as a barrister and solicitor of the High Court of New Zealand in 1970. 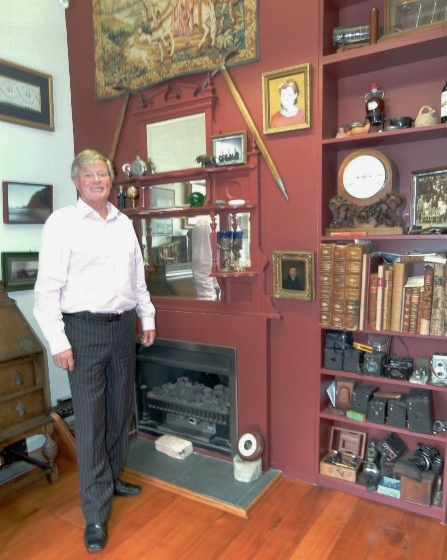 Alex worked as a solicitor in the United Kingdom 1972/1973 (Cambridge/London) and New Zealand; Auckland City and since 1982 in Takapuna on Auckland’s North Shore. A practical and pragmatic lawyer, Alex is one who thinks outside the square ! An adventurer, he spent some time working with Sir Edmund Hillary on a school and hospital building project in Nepal and climbed high on Mt Everest with Peter Hillary in 1982. Subsequent adventures have included accompanying Peter to Antarctica in 2003 and 2011. In 2005 they climbed Mt Kilimanjaro, the highest peak in Africa by an enterprising and now forbidden route. 2007 saw them guiding 30 Americans from Lhasa in Tibet to Everest North face base camp on a National Geographic expedition. In 2011 they attended the 50th anniversary of Sir Edmund Hillary’s 1st school established within sight of Mt Everest, and in 2014 were on another National Geographic to Everest North face base camp in Tibet and across the Himalaya to Kathmandu. In October 2015, Alex was off again, taking his 41-year-old son Sasha to climb Kalar Patar, a minor peak above Everest base camp in Nepal. Alex is also a sailor with a passion for the ocean and the Hauraki Gulf on his old ketch “Tahu Moana”. Alex has been a Marriage Celebrant since 1977 specialising in extraordinary ceremonies embodying the art of Saubrage (decapitating Champagne bottles with an antique French cavalry sword). A career highlight for Alex was appearing in New Zealand’s last civil appeal to the Privy Council before a Baron, Baroness and 3 other Law Lords. Although the appeal was unsuccessful, their Lordships wrote in their judgement complementing “Mr Witten-Hannah for the clarity of his submissions and the careful and attractive way in which he developed them”.